A sublime world-builder enhanced for Metal, Plunder Pirates offers a distinct visual flair and tried-and-true game mechanics. 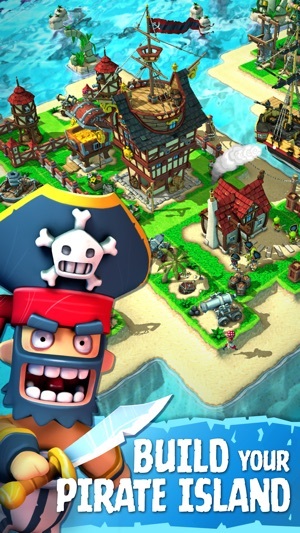 Create and fortify a 3D island base, defend your gold and grog from other players, and amass a ragtag crew of buccaneers to explore the high seas. 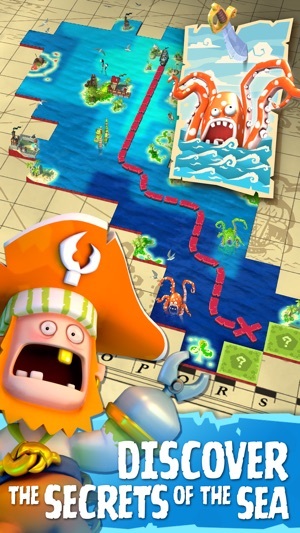 With endless charm, unforgettable style, and legions of likable characters, Plunder Pirates is a lively adventure that’ll have you entranced. 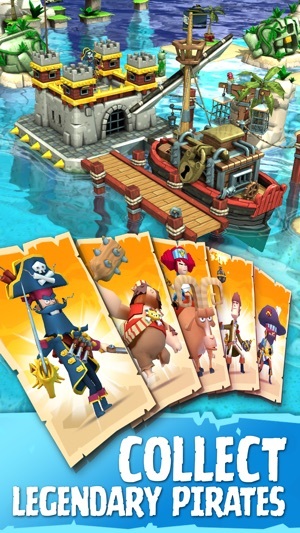 I think plunder pirates is really fun, one of my favorite games I've ever played, and I think it would be even funner with new content, like you could design your own captain with default parts, or parts that you could find in chests. Your captain would be able to walk around your island and go into battle. There should be legendary captain parts that you could find in chests or buy with gems that could give you buffs on the battlefield or on your island. I also think that you should have a 3rd person 1v1 with your captain vs another captain. 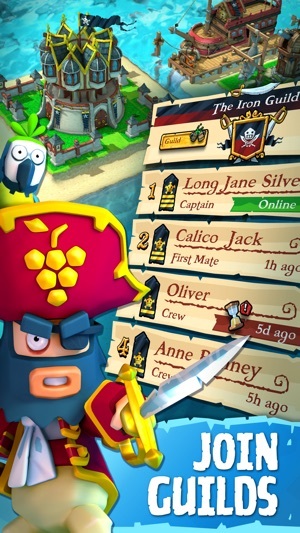 I also think you should make more legendary pirates, that would be combos of to regular pirates, like captain tinto and Jeane de berry making an entirely new legendary, but the combination would have to work well together, like black Bart and Cornelius Heston, but not green beard and Ching shih. 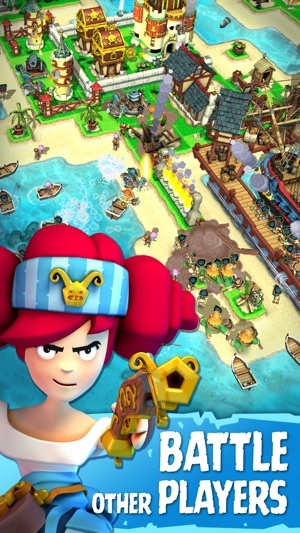 You should also add more pirates and customization options for them. There should also be island themes so your island would look cooler. Also if your a captain of a guild, you should be able to choose a guild buff. Thank you for reading my paragraph!! I’ve been playing this game for about two months now. The sea exploring is cool but that’s pretty much it. There are problems with defending and attacking. Here are a couple defenses and how they should work. A wall is suppose to keep attackers out unless destroyed. A trap is suppose to be remain hidden until an enemy comes with in its AOE range. I watch all replays of my defense and in doing so I noticed a bug or what seems to be one. There’s a character called a Juggernaut. It’s ability is it can smell the traps placed on the island. Now that’s fine and all but there’s no point in traps if the guy just makes a beeline straight to every one you have setup and setting them off before any other attackers come across them. This includes JUMPING over the walls. What’s the point of walls if they can just jump over them. There’s also a bug where if an enemy is running along side a wall. They will just jump over it. So walls and traps are pointless if they don’t do what they are suppose to do. I would give the game a four star if the problems were fixed but for now a two star. The only reason why it gets a two star is because of the sea exploration. It’s really fun to explore and see what I uncover.